Uncontrolled cell contractility leads to disease. 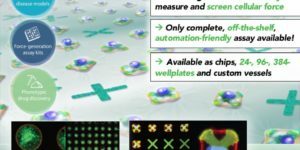 . . We automated single-cell contractility screening. We're leveraging this new technology to help conquer diseases. Much like mechanical force is utilized at the “organism level” by e.g. humans to perform important tasks , it is also critically utilized at the “cellular level” by organ tissues and single-cells to maintain health and proper function. Because of its importance, it can also lead to various diseases if left uncontrolled. 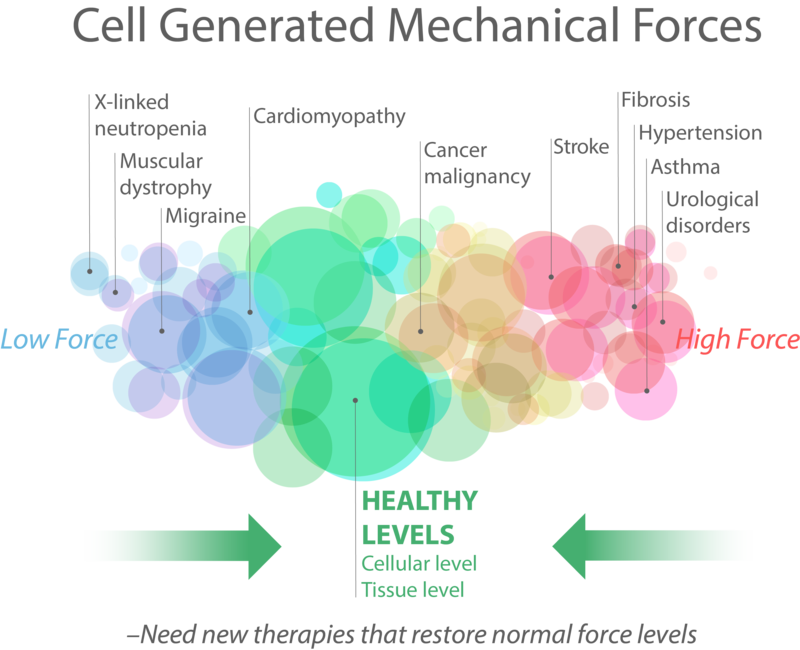 Yet despite the fact that it underlies so many diseases, there is no widely-available method of evaluating cellular force! 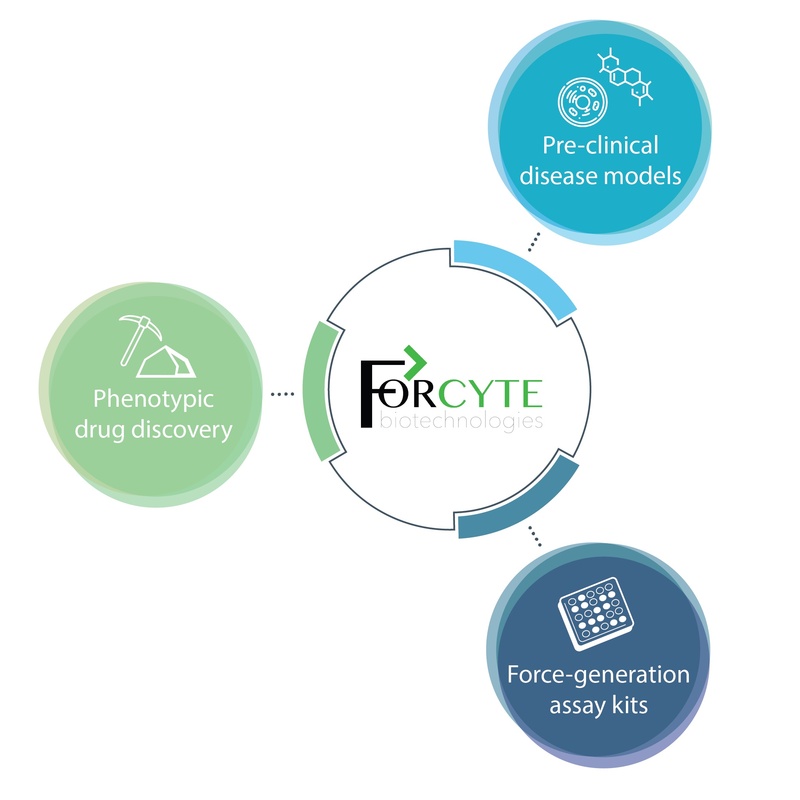 Forcyte Biotechnologies, Inc. was formed to leverage FLECS Technology (originally developed in the Di Carlo Lab @ UCLA) to provide drug-makers and researchers direct access to cellular force generation at the single-cell level – a cellular behavior that was previously inaccessible in an automated way. We provide a fundamentally new class of cell-based assays that functionally evaluate single-cell contractility, integrated into standard multi-wellplate vessels – available both as end-to-end services, and as consumables. 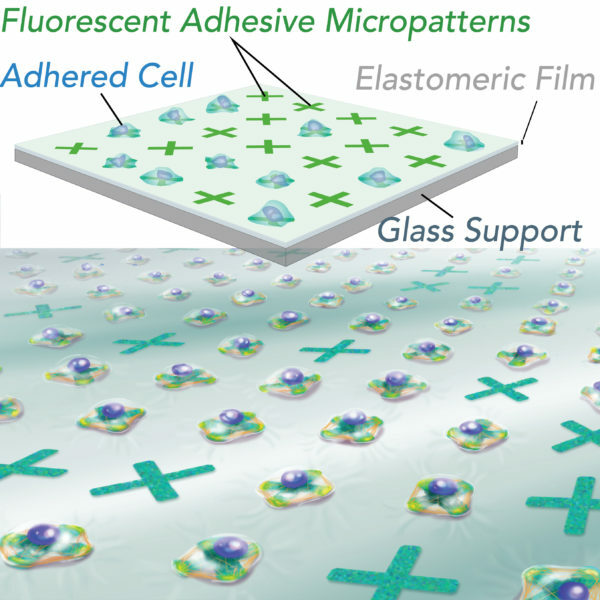 — We generate vastly dense but uniform arrays of user-designed adhesive and fluorescent micro-patterns embedded in an elastomeric film with controlled rigidity (>120 micro-patterns per sqmm). 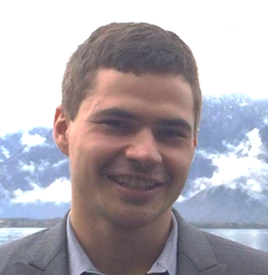 100,000s of patient-derived single-cells (obtained precisely from the human tissue where disease originates) independently locate and adhere to the micro-patterns (one cell per micro-pattern) to which they apply traction forces and visibly alter their shape, enabling intuitive image-based assessments of cell contractility at extreme throughputs. — Each individual cell-adhered micro-pattern within an e.g. 384-wellplate is independently monitored at fine temporal resolution over extended periods to directly observe the full range of contractile behavior, from tonic contraction to induced constriction or relaxation, and the action window of either effect. 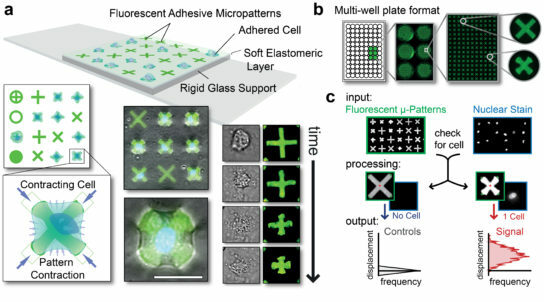 ‘X’ – shaped micro-patterns are chosen to minimize cell-substrate contact area, while maximizing cell-spread area, leading to amplified and concentrated force production at distinct locations. 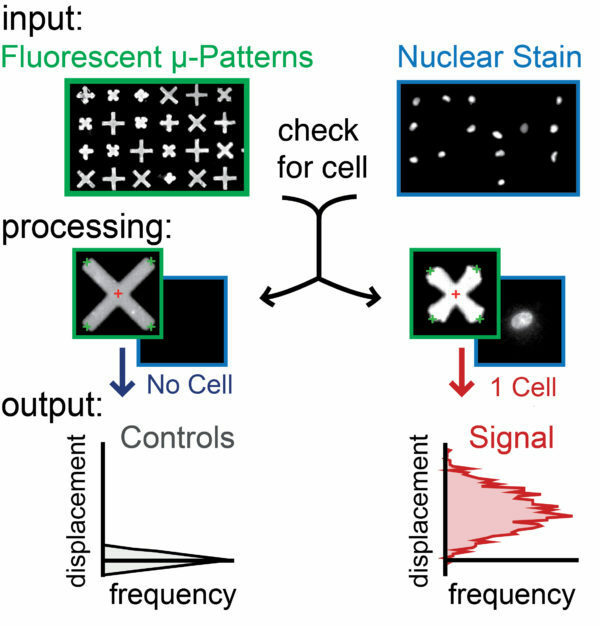 Since each micro-pattern is mechanically decoupled from the others, adhered cells do not transmit strain to neighboring micro-patterns, ensuring faithful assessment of contractile force for every single cell in the population. — FLECS-based assays generate intuitive and unambiguous signals of contractility – you see exactly what is happening. No computer vision. No deep learning. No AI. None needed! What you see is what you got – its that simple, but powerful and intimately linked to disease pathophysiology. Even when imaging at 4x magnification – enough to capture an entire 384-well in one frame – the micro-patterns tell the whole story. Straightforward image analysis is provided to obtain quantitative and robust data from each single-cell in the imaged population. 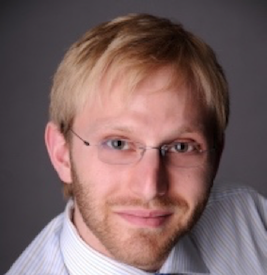 Cynthia J Koziol-White, Edwin J Yoo, Gaoyuan Cao, Jie Zhang, Eleni Papanikolaou, Ivan Pushkarsky, Adam Andrews, Blanca E Himes, Robert D Damoiseaux, Stephen B Liggett, Dino Di Carlo, Richard C Kurten, Reynold A Panettieri Jr.
Forcyte has been selected as 1 of 8 companies given a presentation space at the Society of Laboratory Automation and Screening annual meeting in Washington D.C. on Feb 4-6. We will be showcasing our functional contractility assay technology, discussing ideas, seeking collaboration opportunities and learning about other evolving fields and challenges. Come by our booth! 1737C! 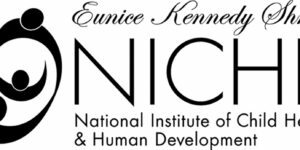 Forcyte Biotechnologies has received a Phase I Small Business Innovative Research (SBIR) Grant from the Eunice Kennedy Shriver National Institute of Child Health and Human Development (NICHD), part of the National Institutes of Health (NIH), to develop a FLECS-based assay focusing on uterine contractility that will enable deeper functional studies on reproductive disorders. 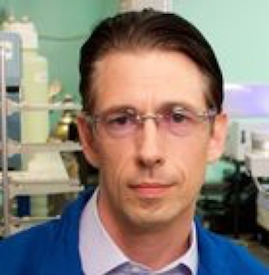 Forcyte Biotechnologies has received a Phase I Small Business Innovative Research (SBIR) Grant from the National Center for Complementary and Integrative Health (NCCIH), part of the National Institutes of Health (NIH), to develop a FLECS-based assay focusing on vasodilation triggers of migraine pain that will enable rapid phenotypic screening for cranial vasoprotectors.